John Simon is Augustus Lines Professor Emeritus of Law at Yale Law School, where he has taught since 1962, including service as Deputy Dean (1985-1990) and Acting Dean (1991). Professor Simon served from 1953 to 1958 in both military and civilian capacities as an assistant to the General Counsel, Office of the Secretary of the Army, and practiced law in New York. John Simon is Augustus Lines Professor Emeritus of Law at Yale Law School, where he has taught since 1962, including service as Deputy Dean (1985-1990) and Acting Dean (1991). He is a graduate of Harvard College (1950) and Yale Law School (1953), served from 1953 to 1958 in both military and civilian capacities as an assistant to the General Counsel, Office of the Secretary of the Army, and practiced law in New York with the firm of Paul, Weiss, Rifkind, Wharton & Garrison from 1958 to 1962. At Yale Law School he has specialized in teaching and research related to (a) the nonprofit sector and philanthropy (since 1963) and (b) elementary and secondary education (since 1966). He was the founding Director (from 1977 to 1982) of the Yale Program on Nonprofit Organizations, an interdisciplinary research center. 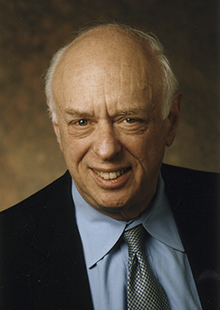 Outside of the university, he has served on a number of boards and committees active in the field of philanthropy—as a trustee of the Open Society Institute, president and trustee of the Taconic Foundation, trustee and founding chair of the Cooperative Assistance Fund, trustee and Vice President of the Smokey House Center, and trustee of the Rockefeller Archives Center, the Council on Foundations and the Foundation Center. He also serves as a trustee of the Grove Street Cemetery. His publications include The Ethical Investor (with Jon Gunnemann and Charles Powers), Yale University Press, 1972. He received an honorary doctor of laws degree from Indiana University in 1989 for his contributions to scholarship in philanthropy. The Ethical Investor (with Powers and Gunnemann), 1972.